In contrast to yesterday's picture of the Judean Wilderness, the northern area of Israel is covered in lush vegetation as evidenced by this picture of the Gennesaret. 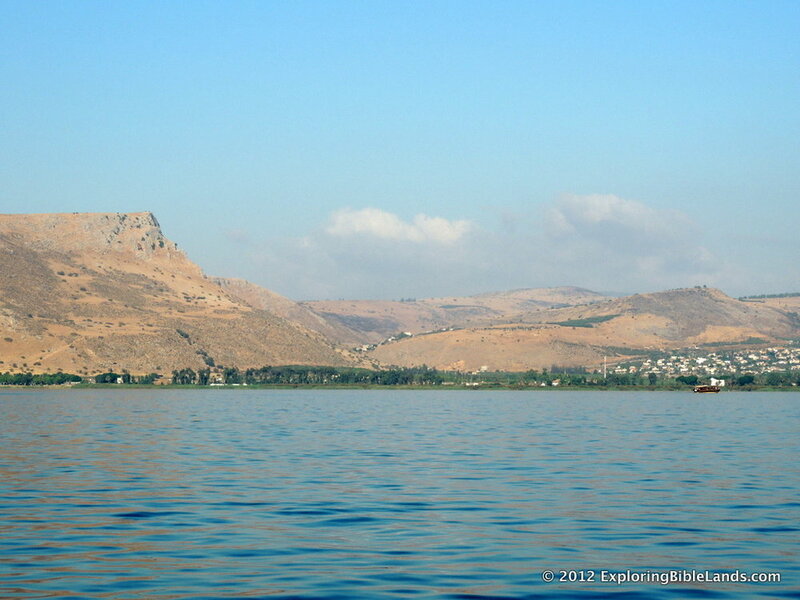 The Gospels tell us that Jesus and His disciples traveled across the Sea of Galilee and landed in this region. Once Jesus was recognized, all of the people in the villages came to him to bring Him their sick to be healed. This location is sometimes referred to as the Plain at Gennesaret and is located on the northwestern edge of the Sea of Galilee. Because of the surrounding terrain, water flows down from the nearby hills into this area making it a very fertile location for the growing of crops. In the First Century AD, there were a number of small communities in the area such as Magdala and possibly Dalmanutha.